I have had a photo selected for the 2010 Arizona Game & Fish Wildlife Calendar! I win enough money for some new photo gear to replace some I broke this last summer, which will help. Here is more information about the calendar, where to get it (for $3), and a list of the other winners. This is the first photography contest I’ve ever entered, so I am encouraged to enter more, to say the least. Here is the photo they selected, for the month of Novembe, of a Western Diamondback Rattlesnake (Crotalus atrox) I photographed in April. 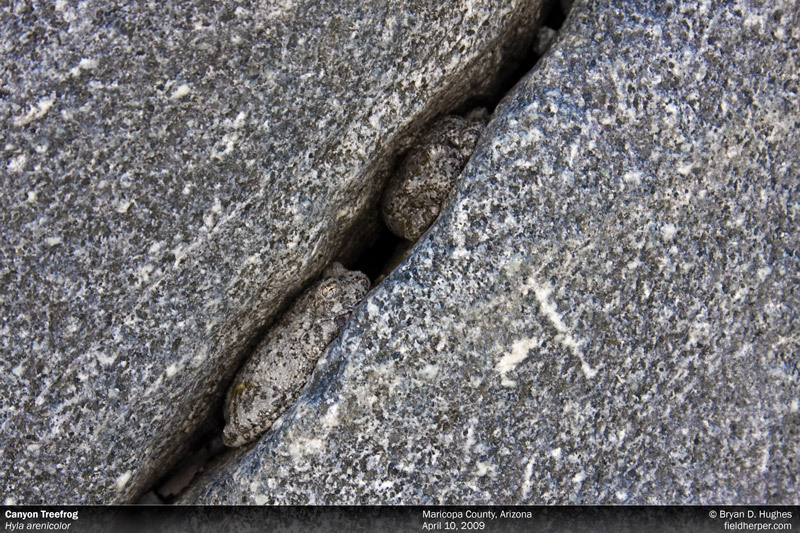 Here is a photo of some Canyon Treefrogs (Hyla arenicolor) that was selected as an honorable mention; also photographed in April of this year. This entry was posted on Friday, November 6th, 2009 at 1:17 pm	and is filed under Personal, Photography. You can follow any responses to this entry through the RSS 2.0 feed. You can leave a response, or trackback from your own site. Congrats. Did you submit the photo of the Mojave you and I found in April? I will be out east next herping season, I’ll keep you posted of what I find out there. Take care. That one I did not. 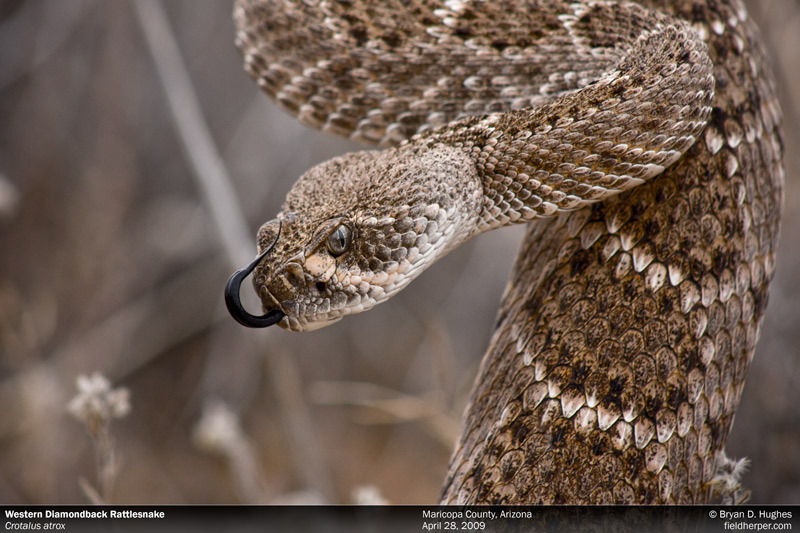 I had a ton of rattlesnake pictures, and I assumed lots more would be submitted as well, so I restricted myself and put in what I thought were two of my best of the year. I probably have some that I like more than the atrox that ended up winning, but there’s no snake more iconic, so in it went. Glad I made that choice!